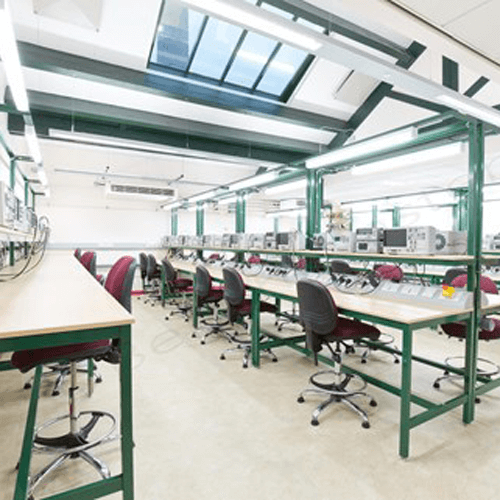 Barnsley Assistive Technology team required a workshop refit, which included a number of workbenches and cabinets for their workshop. The team provide specialised environmental control and communication aid equipment to adults and children with complex disabilities. This is why BenchMaster’s fully welded and ready to use workbenches were purchased. 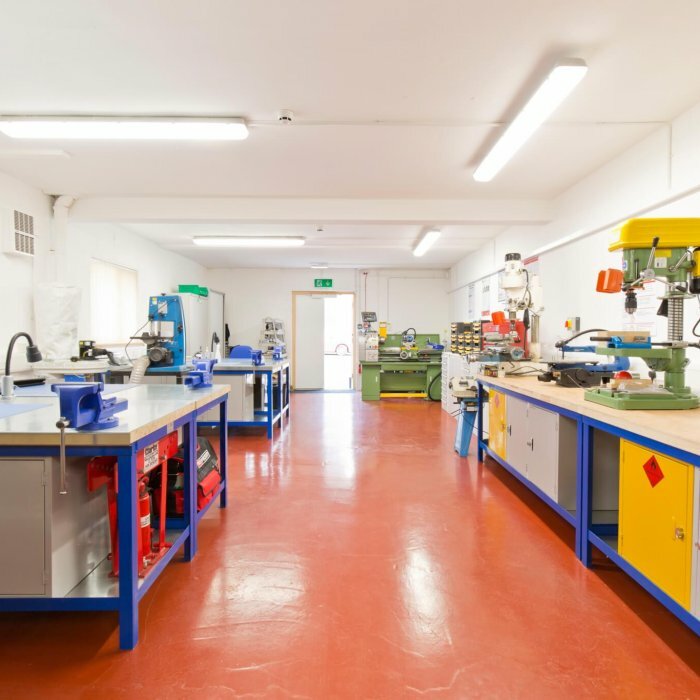 Barnsley Assistive Technology team chose BenchMaster to manufacture all of their workshop workbenches and free standing drawers after a member of the team visited BenchMaster’s workshop in Mossley, Ashton-Under-Lyne. 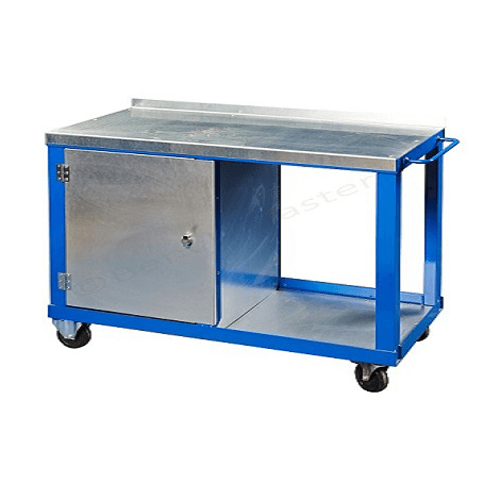 4 x 2075WSC – 2000mm long x 750mm deep x 840mm super heavy duty workbench with 2mm galvanised steel over 45mm solid wood top, two cupboards (left/right) 5 drawer unit middle, vice plate, bottom shelf and 6” vices. 2 x 2075WC – 2000mm long x 750mm deep x 840mm heavy duty workbench with 45mm solid wood top, two cupboards (left/right) 5 drawer unit middle, vice plate and bottom shelf. 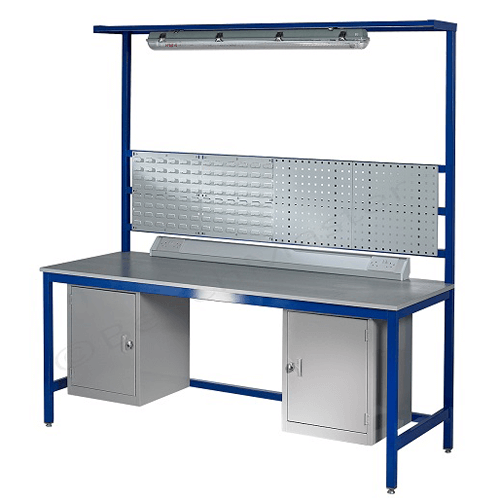 2 x AB2075L – 2000mm long x 750mm deep x 840mm medium duty workbench with a laminate top, cupboard left hand side, 5 drawer unit right hand side and all metal levelling feet. 1 x BMH – 915mm high x 915mm width x 457mm depth unit with two shelves and lockable double. 1 x BMG – 915mm high x 457mm width x 457mm depth cabinet with 8 drawer unit without a door. 4 x BMH – 915mm high x 457mm width x 457mm depth unit with two shelves and locable door. The workshop image is very important to the Barnsley Assistive Technology team. The workbenches and cabinets gives a good first impression from visiting professionals from other NHS Assistive Technology Hubs. Installing the workbenches as generated many comments that they love the workbenches and cabinets that are in place. The set of drawers in the centre and cupboards were perfect for the technologist tools and equipment. 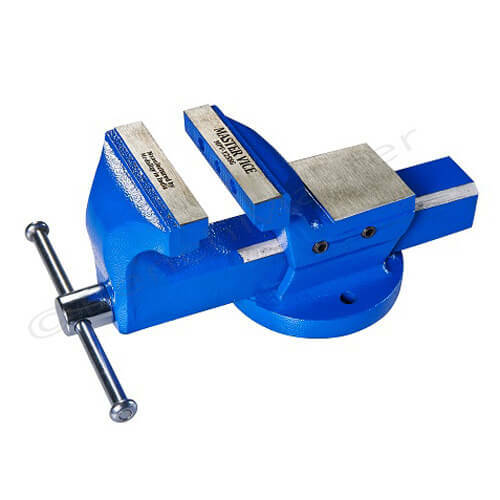 The workbenches give very high stability upon location as there are very heavy. The decision to choose galvanised steel and laminate tops allows the technicians to be able to clean the top easier. ‘’Thank you for showing me around today. 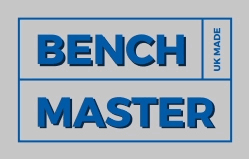 I was very impressed with the quality of work and craftsmanship that you have at BenchMaster. I am happy I chose your company to manufacture these for us. The configuration of the finished workbench with the custom cupboard and drawer arrangement gave great flexibility towards storage.